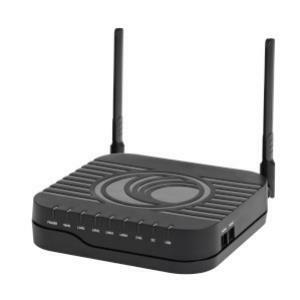 The Cambium cnPilot R201 series Home and Business wireless routers feature 4 high speed 10/100/1000Mbps ethernet ports, 1 10/100/1000Mbps WAN Port, 1 USB 2.0 port for printer or file sharing and Dual Band 2.4GHz 2x2 802.11n and 5GHz 2x2 802.11ac wireless, 2 FXS telephone ports and Power over Ethernet output for powering a Subscriber Module. The cnPilot series extends the service provider’s indoor reach and streamlining components for a simplified indoor network offering remote visibility and end-to-end troubleshooting. The cnPilot series also features Multiple SSIDs and Service Provider SSID's enabling service providers to offer SSIDs across their network as users travel from home, to outdoor public hotspot and to local business / small enterprise or campus. This allows network operators to promote their brand throughout their customers’ daily journeys.